Michael Anastassiades launched his London-based studio in 1994 after training as a civil engineer at London’s Imperial College – followed by a MA in industrial design at the Royal College of Art. 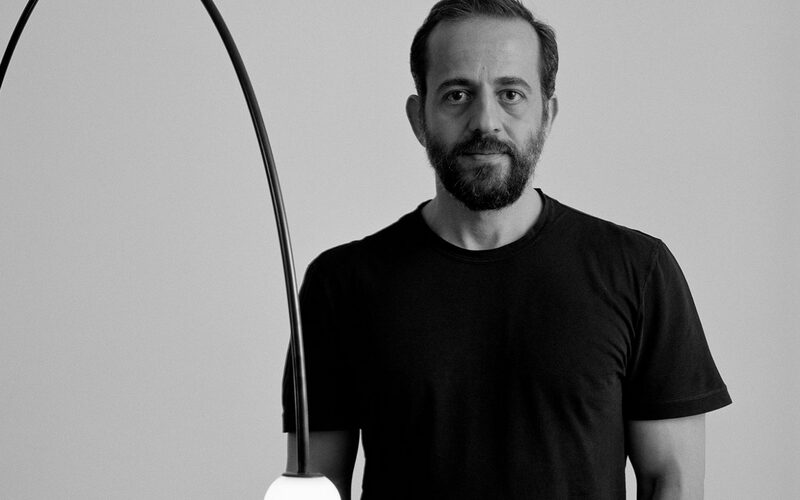 In 2007, he set up Michael Anastassiades Ltd to produce his signature pieces; a collection of lighting, furniture, jewellery and table top objects. Positioned between fine art and design, Michael’s work aims to provoke a dialogue, participation and interpretation. He creates objects that are minimal and utilitarian yet full of vitality one might not expect. The studio’s philosophy is a continuous search of eclecticism, individuality and timeless qualities in design. Michael designed his first piece of upholstery for SCP in 2015, the Rochester sofa and ottoman as part of the Sofa in Sight collection. Other designs of Anastassiades’ have been featured in permanent collection at the Museum of Modern Art in New York, London’s Victoria and Albert Museum and the FRAC Centre in Orleans, France.